On the 16th February 2019, together with my friends from Cuyo Radio Club in Mendoza (LU1MA) we have activated Aconcagua - the highest peak in SOTA, for the first time in the history. The activation was possible only thanks to amazing support from the association manager - Alex LU1MAW and all members of the LU1MA radio club. The hike towards Aco started on the 03 Feb, slowly, maintaining a slow ascent rate to avoid AMS (altitude illness). For my radio needs I was carrying a Yaesu FT-818, Buddipole package, a 20000mAh battery pack and a 50W solar panel to charge all the gear. 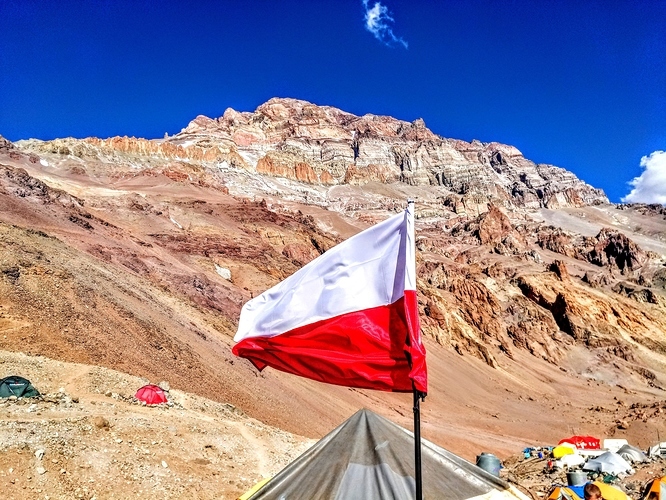 On the 9th Feb, we have reached 6000m for acclimatization purposes, and slowly came back down to Plaza de Mulas base camp at 4300m for rest and to wait for a good weather window (next few nights the winds were up to 130kph). On the 14th Feb, we have started our hike up to Nido de Condores camp, where we found our tents displaced and damaged by wind, luckily we were able to fix them on the spot and rest for the night. 15 Feb we have completed the last hike to Camp Colera at 6000m, where we rested for few hours before starting the final climb at 4am. Due to health issues of some of our team members the hike took us 11 hours! We have arrived at the summit around 3pm local time. I was worried that my group of chasers would have left by then, since we have agreed on contact a LOT earlier. 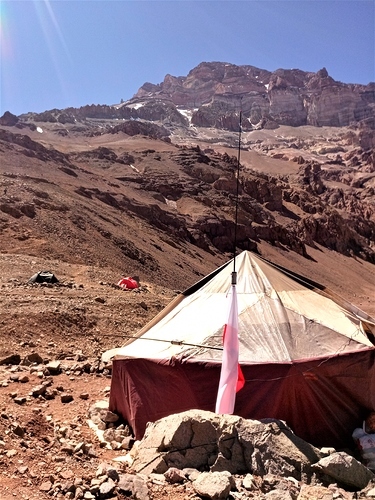 Alex LU1MAW had arranged for a party of 5 people (LU1MAW, LU1MHC, LU7MBQ, LU1MME, LU2MDF) to travel to a hill, located about 90km away from Aconcagua summit, at around 3000m ASL to make sure we have good chance of contact. The group had set up radio gear and waited for me to summit for many hours Just when they started to worry that something stopped me from summiting they heard me calling Alex’s calls sign on the agreed frequency (2m). 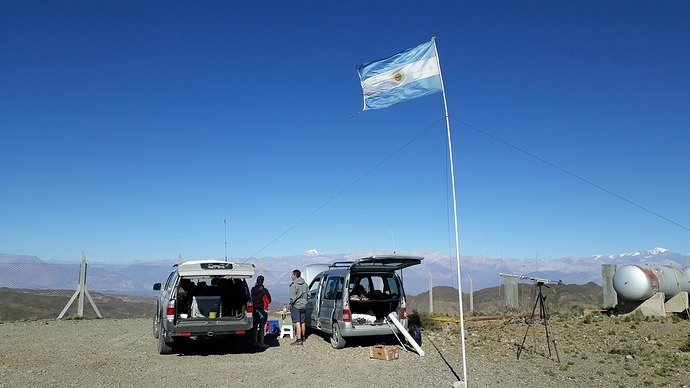 I was really tired, out of breath, and based on our conversations back in Mendoza I did NOT sound very well Either way, we have managed to make 5 QSOs, with very good reports, from the highest summit in the SOTA DB! 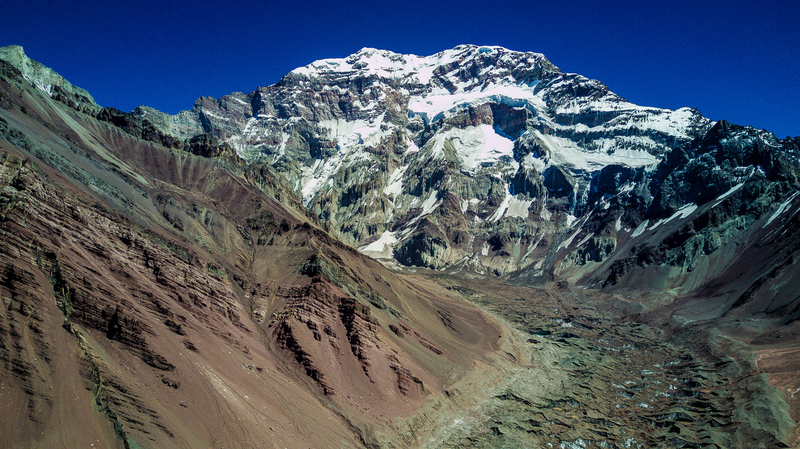 Aconcagua is not an easy mountain, the length of the hike, the altitude problems and logistics were making the climb difficult. 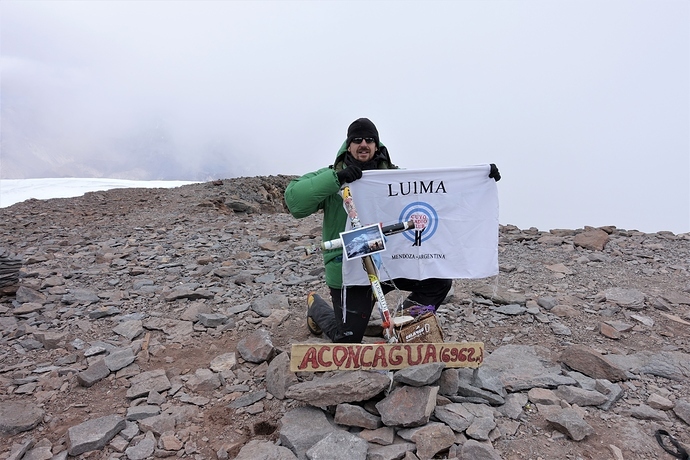 But knowing that everyone is counting on me to get to the summit, to make the QSOs really motivated me and gave me the additional bit of strength I needed to get up there with the gear. I want to thank Alex and the whole LU1MA radio club for everything! They helped me with the required paperwork to get the radio permit, they have invited me into their club, and made me feel like a family there, they made this activation possible, and they made the whole trip to Argentina mean a lot more to me. Thanks for your words Tom! We were really happy to have received such a great person and mountaneer. We will always be grateful for what you did. What an absolutely outstanding achievement in the true spirit of SOTA. You overcame the physiological issues which can be very serious. Well done to you and all the support team on the faraway hill, without whom this would have failed; it obviously being a very remote region. A very significant milestone in SOTA and almost unimaginable when it started back in 2002. Stupendous! Wish it had been me! “Not an easy climb” ? That is an understatement if ever I heard one. 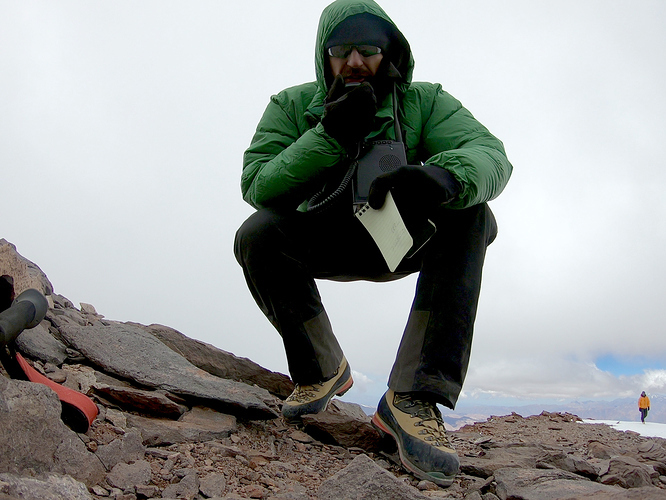 Was the other summit the chasers were on also a SOTA sim it? Congratulations on this outstanding achievement and the mountaineerings spirit it exhibits! I already congratulated you, Tom, but let me do it again. Hats off to you and all my respect and admiration. Congrats also to the team of chasers, who were the first chasers of the highest SOTA summit up to now. Hello Tom and the team. Really congrats for your special activity. Thanks a lot to you all. Same as everybody: Respect and congrats to you and the others climbers. Great achievement and me too wish i was there! That’s an amazing achievement, congratulations ! Awesome job getting that activation, I’m thinking about doing an attempt as well next January. Having been up there, I know the air is THIN up there, so good job sticking with it, and getting those QSO’s! As far as I know Mt Everest is no SOTA Summit! Well done! Can’t say I’m not jealous. I think that really marks a watershed for SOTA as a hobby. Strange to think how it all started with just a few guys walking up hills with handhelds back in 2002. Congratulations for successful activation from ever highest summit!